This year the 15th May marks the 10th anniversary of Roberts death, on the 16th at 6:30pm there will be two laps of the North West 200 circuit where until 2016 Robert held the record number of wins, sadly it was also the circuit where he lost his life. Robert is often in the shadow of his older brother Joey but at his peak he was every bit as good, sadly massive injuries sustained at the 1994 TT really affected his career limiting him to small capacity bikes, no longer having the strength to muscle a superbike around the roads. In his career he won the newcomers race at the 1983 Manx Grand Prix ahead of future TT stars Steve Hislop and Ian Lougher, he went on to win 5 TT races winning the Ultra lightweight in 1989, 1990 and 1991 as well as winning the Junior TT in 1991 as well, his 5th and final win came in 1998 in the Ultra lightweight race just four years after the crash which nearly killed him. 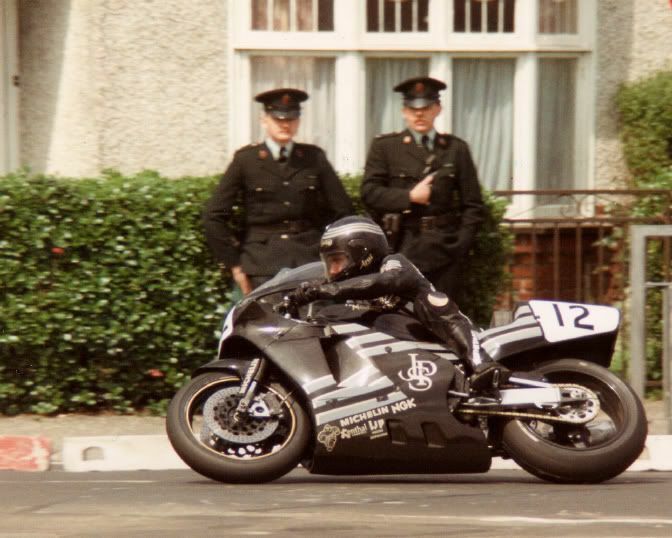 In addition to his 5 TT wins and single MGP win he picked up a further 10 podiums around the mountain course, his last coming in the final ever 125cc TT race around the course in 2004. 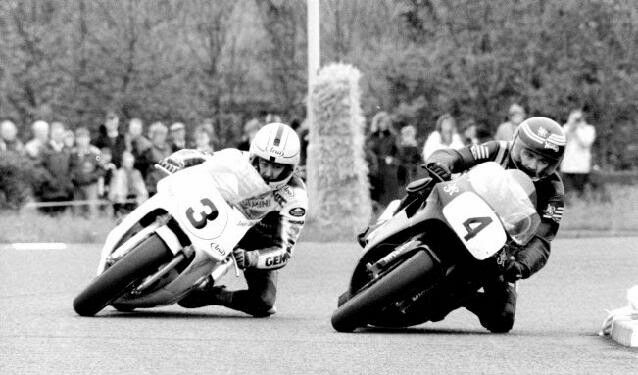 He won a then record 15 races at the North West 200 as well as 9 victories at the Ulster Grand Prix, he also won the Macau Grand Prix in 1989 and is so far the only Dunlop to achieve that. 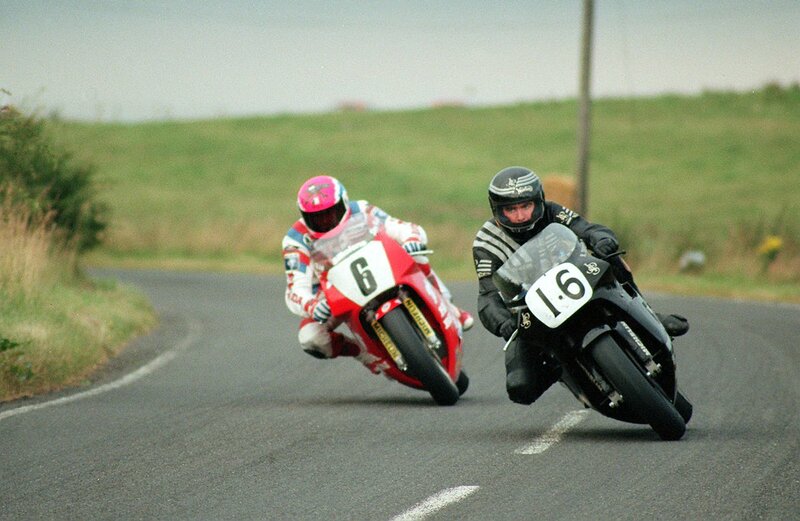 In addition to his achievements on the roads Robert was also an accomplished rider on the circuits winning the British 125 championship in 1991, he also achieved race wins and podiums in the MCN Supercup riding the JPS Norton holding his own against other British champions like James Whitham, Steve Hislop and Ian Simpson. Jumkie, Theo and McZee like this. That's a classy shout out, Ant. Robert and Liam Beckett his mechanic and close friend, Liam has written a book about his time with Robert, it's called Full Throttle, it's a great read. 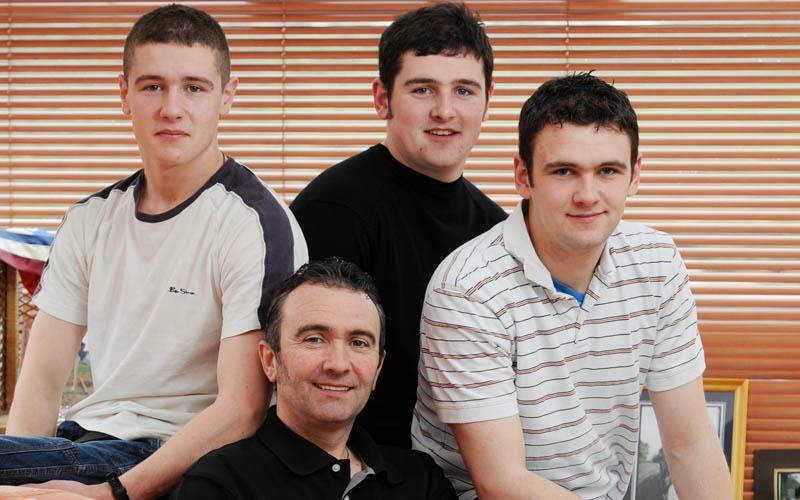 Robert with his 3 sons, William and Michael followed in his footsteps and have become top road racers in their own right, Daniel however isn't involved in motorcycle racing and instead has served on the front line in Afghanistan. Hell is it 10 years, It feels as if it was half that. I'll hold a glass for his memory come the day. Last edited by AntG; April 27th, 2018 at 02:21 AM. I've just re-read Liam Becketts book and the story of how Robert returned to racing still amazes me, after his TT crash in 1994 he couldn't grip with his right hand anything smaller than a tin of beans so Robert switched the front brake over to the left handlebar operating with the thumb and he wrapped a strip from a cheese grater around the throttle grip with the sharp bits sticking up so they would dig into his glove and give him the grip to twist the throttle.